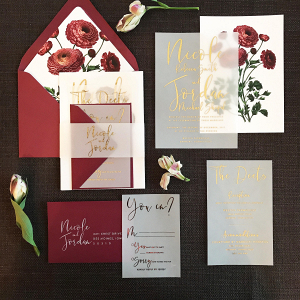 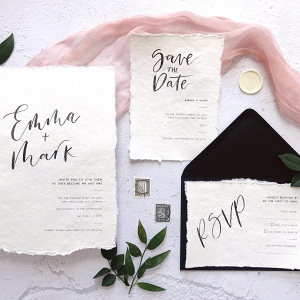 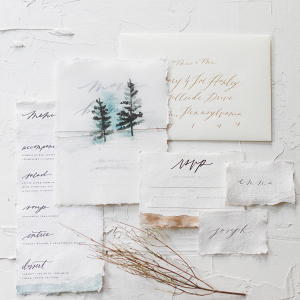 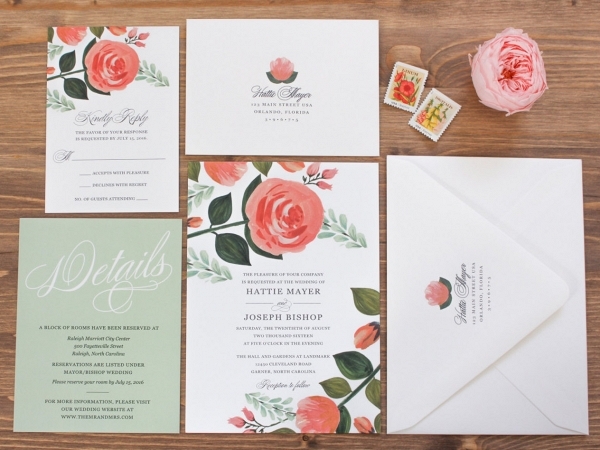 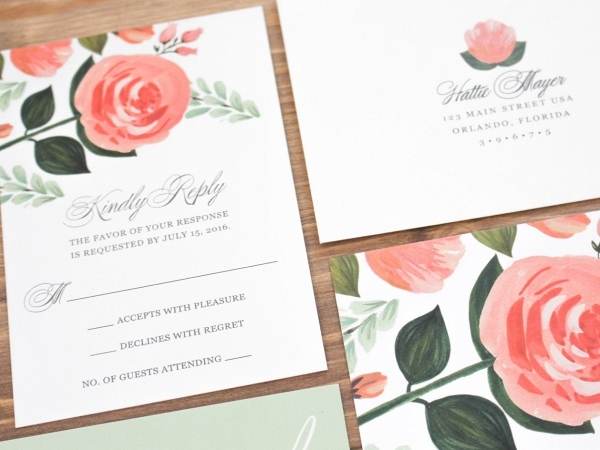 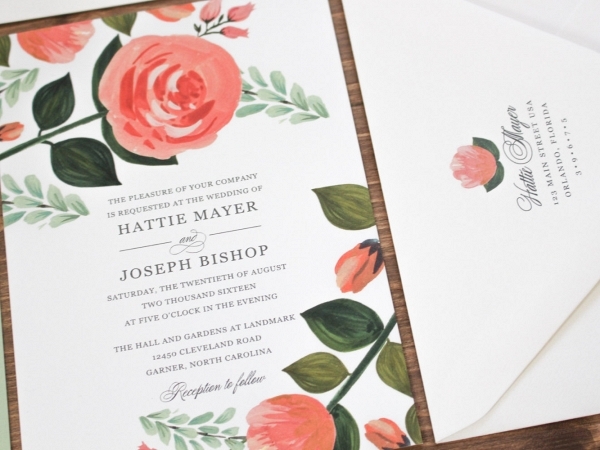 Set the tone for your big day with these pretty little floral wedding invitations! 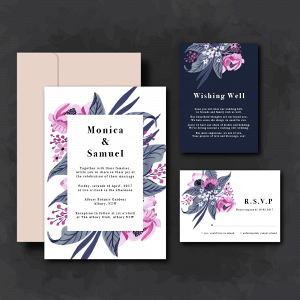 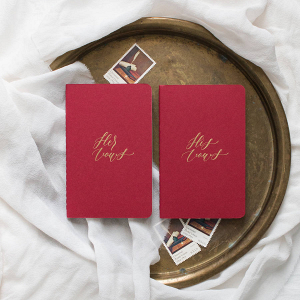 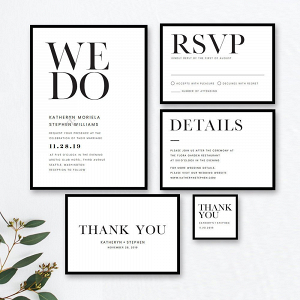 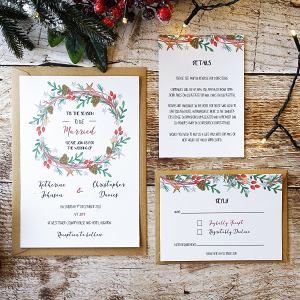 This suite includes a 5" x 7" invitation, a 5" x 3.5" RSVP, and a 5.5" x 4" enclosure card. 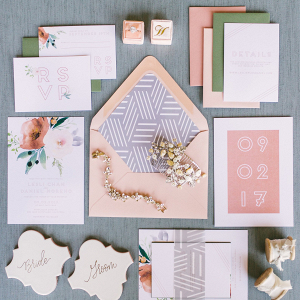 Coordinating items are available and wording & colours are customisable - but we rather love it in peach and mint!